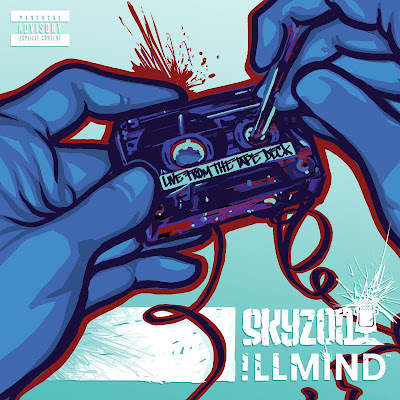 Skyzoo and !llmind's album "Live From the Tape Deck," is different from most mc-producer projects I've heard over the last twenty years. When hearing these songs you feel like this is the very very beginning, like this LP doesn't scratch the surface with what they'll achieve the remainder of this decade. This is the result of two dedicated, precise individuals who don't settle for anything less than the best and it shows. Hip Hop won't be saved overnight but trust me when I say the process begins here. Skyzoo, how long have you been rapping and what made you start? I've been rapping since I was about nine years old. What made me want to start rapping was Chi Ali. Chi Ali was down with the Native Tongue movement which consists of De La Soul, Black Sheep, A Tribe Called Quest -- the whole deal. He was down with them when he was about 14 and I was 9 at the time so when I saw his video I thought that was the dopest thing. I immediately wanted to do what he was doing. From there it was just full steam ahead. !llmind, what made you want to produce, and how long have you been producing? As far as creating beats, I started messing with that when I was 12 or 13. My dad is a musician so I kind of grew up in that kind of household. Music's been a big part of my life growing up. My dad had gear back then that I used to play with. The thing for me was playing video games and putting beats together. Career-wise I've been doing this since 2001. Name your favorite producer-emcee duo. !llmind: There's a laundry list of them. I really can't name just one. Since I have to name one I'm going say "Gangstarr." DJ Premier and Guru (RIP) were huge influences on me. Skyzoo: I can't even really say. I have to say EPMD, or Pete Rock & CL. With Pete and CL it was the Jazz element. I'm a huge Jazz head and the way CL was rhyming was dope too. He had a rapid-fire kind of style but it was still laid back. I have to mention EPMD because they were so raw. But then you have Eric B and Rakim, so it makes this a tough question. You have to add them to the equation. Even though they were around the same time as EPMD, they set the precedent. Before Pete and CL and before EPMD they were the ones who said "He's an emcee and he's the producer." 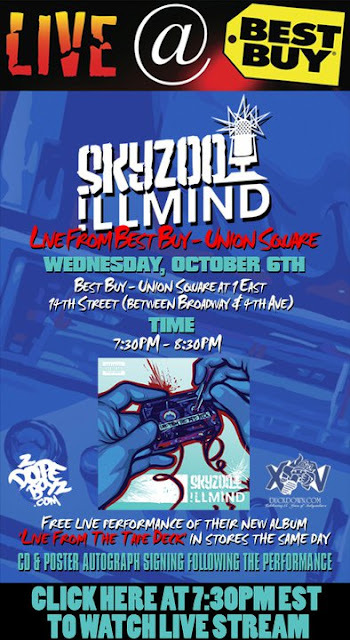 Skyzoo: We met digitally. We met through Khrysis the producer. It was through him we met and it was pretty much email. I was kicking it with Khrysis in 2005. He said, "Yo man there's this music kid named !llmind. His beats are incredible. I don't even have any !llmind beats on me, but trust me." He emailed !llmind and he responded with a beat. When I heard it I said, "This is crazy. I never heard anything like this." It started from there. Me and !llmind started hitting each other up on aim. It just grew from there. !llmind: That's pretty much how I remember it. I was chatting with Khrysis. He sent me a few records that he did with Skyzoo. I said, "Yo man this dude is crazy. Let's go. Let's do it." So I sent Khrysis a beat and he forwarded it over to Sky and we kept on going from there. Like Sky said, we just kept in touch and kept working. !llmind aren't you a professor at New York University? !llmind: I teach at NYU in the Clive Davis department. I just started teaching there in January. One thing that a lot of people know is that I was teaching at a non-profit organization prior to NYU, in Harlem called Harlem Children's Zone. I started working there three years ago, part time. They didn't have a music program running. With the help of a friend we built the music program from the ground up. That was a great experience for me. That kind of led to the position at NYU where I am today. I'm teaching a class called "Future Music Moguls" which is a combination of ProTools 101, Mixing and Arranging Songs, and then the business side of the industry -- publishing, writing and looking at contracts. The kids I was teaching in Harlem were juniors and seniors when I took them on a trip to NYU. A handful of them were interested in going to NYU to take music. The thing about NYU is that they don't have much exposure to kids in Harlem. Low income families usually don't get the chance or even think about putting their kids into NYU because they can't afford it. I set up a class trip to take some of my kids there to check the place out. I built a relationship with the faculty at NYU when I brought my students over there. They loved the kids. A few years later one of the graduates of NYU who actually works on my team now as an intern, put me on to them again. He said they were looking for a producer who's also in the industry, to build a new program for new students at NYU. He said they needed a producer who's knowledgeable in mixing and engineering, but also the business side of producing. So I kind of fit the bill perfectly and I went in there and interviewed with them and built my relationship and that manifested into a new class. I teach the class with another guy, Jayson Jackson, who used to managed Lauryn Hill back in the day and was also VP of Virgin Records in the 90s. So me and him teach the class together. 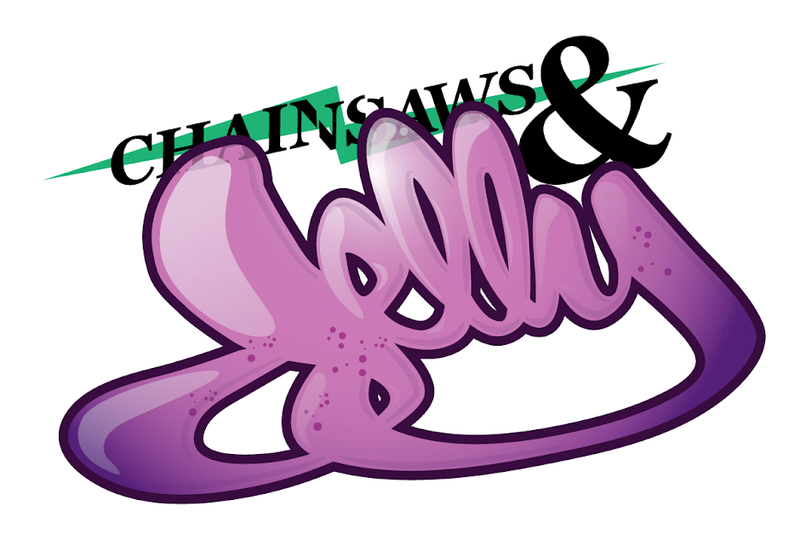 I guess you can say it was NYU's idea but we honed in and tweaked it to what it is today. Tell me about the importance of building relationships in this business. Skyzoo: It's about being humble. You obviously carry yourself in a certain way as far as being an artist and being out there as a "star," but you have to keep in mind that the same people you see going up, will be the same people you see coming down. You have to remember all of that. I always make it a priority to show love to anybody who showed love to me. That includes fans on the street, journalists, bloggers, DJs -- whoever it is, as long as you show me love and respect, I'll show you love and respect. If you don't that's a different story and we've got an issue. But if they took the time out to write about me in a positive light, or anything like that, I appreciate it all. I think where that comes from is in '02 when I met Jay-Z. Before even meeting him you could easily think he was a certain way because of who he is, but dude is the coolest dude in the world. He's the coolest dude I ever met. We weren't just hanging out for two seconds, we were hanging out for a minute. He was being humble, cool and down to earth. He was just being a regular dude. I realized that's the way you're supposed to be. !llmind: I agree with Sky 100% about maintaining relationships and staying grounded. Especially as a producer, the amount of work that comes your way is really based on your relationships and how strong those relationships are with certain people. 80 to 90% of the work that I've done has been through relationships that I've built through the years and artists showing me love in return from the love I showed them -- that has really opened up doors for me. Sky said it all. Relationships are everything. Which track on "Live From the Tape Deck" is the most special to you and why? Skyzoo: If I had to pick one track it would the last one, called "Langston's Pen." I'm a big fan of literature. I always went to Advanced Placement English in school, even living in the hood. I'm a fan of Langston Hughes and I came up with an idea for a song. !llmind played the beat for me and it just started speaking to me. I literally wrote the record incredibly quickly. It was one of those records where you write down one line and you can't write the line fast enough because you've got four more lines that you already thought of coming in. It's almost like an assembly line where stuff is falling off the belt because you can't package it quick enough. With this song it was the same thing. I'm writing lines down but I can't write them fast enough because I thought of three to four more lines that need to get written down. That record just embodies me and everything that I'm about as far as who I am as an artist, a musician and moreso as a man. This is a record where god forbid anything happens to me, or I quit, or if I retired tomorrow -- I'm cool with that being the last full song I ever wrote and recorded. It means that much to me. I don't care what any blogger, critic or reviewer says about it. I don't care what anyone says about it. Lyrically and emotionally that song embodies what I want it all to be about at the end of the day. !llmind: I love the entire album and it's really hard to narrow it down to one song, but that song is probably my favorite as well, for a lot of the reasons that Sky said. The vibe in the lab that day had a certain energy to it. If I remember correctly that was one of the last beats I played for Sky, when we were wrapping up our album and it ended up actually being the last, yet one of the most special songs on the album. Sonically, the mood Sky captured on that, parallels the mood I was going for while I was creating that beat. So I'd say "Langston's Pen" was the most special song to me as well. Just off of what Sky was saying, and the theme behind it, it all meant a lot. Hopefully people feel the same way. !llmind you're from Essex County, NJ like me. Have you noticed more kids skateboarding there lately? !llmind: I haven't been back to my stomping grounds in a while. I go every so often. The few times I have been back I have seen more skateboarding going on especially on Broad St in downtown Newark by the campuses of Rutgers Newark and NJIT. I live in Brooklyn now but when I go back there I see more and more skating going on. Skyzoo you're from Brooklyn. Tell me about the skating you've seen over there, specifically in your community. Skyzoo: I'm seeing it starting to pop up a lot more. I'm not seeing it all over the place, but I do see it. My little brother actually broke out a skateboard the other day and I was like "Wow!" I got a nine year old brother. He was getting busy. He wasn't doing Tony Hawk tricks but he was riding in the streets and turning corners with no problems. I was like "Wow! Word up!" So you're definitely starting to see it take place more over here. !llmind: It's funny you mention skating because just yesterday I was sitting on my stoop out here and my neighbor, she's probably 10 or 11, I saw her for the first time whip out a skateboard. She's usually biking or running around playing tag. Yesterday, I kid you not for about 5 hours she was alone on that skateboard, practicing and practicing. It was cool because when she first started she was falling and stuff like that. When I came back out four or five hours later she had gotten the hang of it and was rolling away for a few yards after she landed. I think skateboarding and the whole culture is cool because it gives these kids something to do outside, as opposed to staying inside on the internet. Skateboarding requires a lot of practice and training and falling. I looked at that and I definitely appreciated it. Anything you want to share that you've learned from mistakes you've made in this industry? !llmind: Always take your contracts to a lawyer. No matter who it is. No matter what it is have a lawyer look through the legal documentation first. In the past I've signed contracts that I shouldn't have signed because of anticipation and excitement and that really affected me for a few years. That's one of the lessons I've definitely learned. It's an easy thing too. It's obvious when you're in this industry that you need to be wary of the legal aspects of things and to have a good lawyer around you, so you could be careful with that stuff because you never know. So that was the one thing that I had to learn the hard way about the industry. Skyzoo: You have to realize that it's not like everywhere else. In the street you mean what you say and you say what you mean. In the industry it's not like that at all You can pretty much say whatever you want and do whatever you want. That's something I learned early on. You have any special listening instructions for fans when they pick this up? Skyzoo: Just to listen to it so you can understand it. It's not like my last LP "The Salvation," which had a lot of deep undertones. It's not like that at all. It's moreso just beats and rhymes. Me being who I am, you are going to get a couple of those records that have a purpose and something is driven towards it which takes you somewhere else. Just listen to it and enjoy it. XXL Magazine gave it the "XL" rating and gave it an "XXL" for lyrics. It's an incredible album and it's showing. Just enjoy it. !llmind: In addition to what Sky just said, if it's your first time listening to the album, or any album, please do not listen to it on a laptop. Burn it on a CD from your Itunes and play it in the car or play it on a home system. Bring it to a studio and play it there. What a lot of people don't know is that when you're listening to music on a laptop, you're missing 3/4's of the frequency and the sound from the music. You want to get the full effect of the album. Me being a producer I'm a stickler for that kind of stuff. Skyzoo: The art work was done by my man Andre Trenier. He's an incredible artist from the Bronx. He's a graf head. He does paintings. He does murals. He does jackets and sneakers. He's amazing. Google him. I had an idea to not do a photo shoot for the album. I wanted something that popped. I wanted something animated and illustrated. I wanted something that popped visually when you saw it on a shelf. I took that idea to !llmind and he loved it. I got Dre involved and he killed it. You guys know how to work the industry. In this viral age fans require more content from artists. How did you come up with the interviews? Skyzoo: We wanted to do something that brought fans into the light. We wanted to show fans what we did, and the creative process behind it. Fans love that. Be it me and !llmind or any producer or rapper or rock and roll artist -- the fans really like seeing that. The want to see how it was made and they want to see the process and the "behind the scenes." I was kicking it with my man Jonathan Master and he suggested "What if instead of being interviewed by a regular blogger or journalist, you just interviewed yourselves?" The idea was dope and we just put the plan in motion.